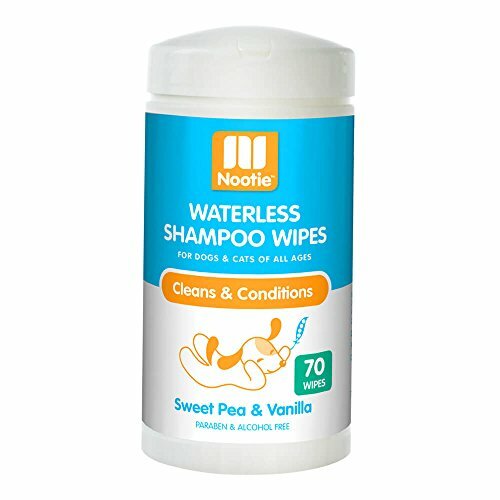 Nootie Shampoo wipes are all you need to clean and deodorize your pet with no water! Alcohol-free formula contains active cleansing ingredients plus fur-softening glycerin, nourishing oatmeal extract and soothing aloe vera to help clean and condition your pet's skin and coat. With gently formulated fragrance formula it won't irritate dogs or cats sensitivities. If you have any questions about this product by Nootie, contact us by completing and submitting the form below. If you are looking for a specif part number, please include it with your message.